If you've been playing the new addictive game Flappy Bird and haven't gone insane or broken your mobile device yet, you've probably become very competitive like myself? The game Flappy Bird was created by the guys over at .Gears Studios, they are heavily influenced by retro pixelated games that can be picked up and played within minutes. Currently Flappy Bird is number one in the iTunes UK charts, and they also have the number two slot with Super Ball Juggling. 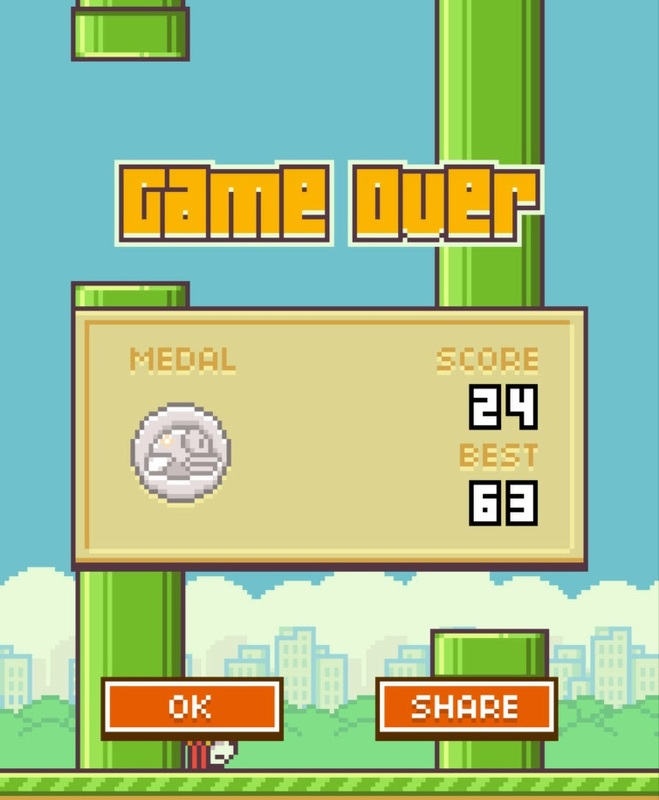 So what's your best score in Flappy Bird, let me know below.